Aruba Grappling will have the largest Submission Grappling tournament in Aruba that will have both spectators and competitors from all over the world. The Grapplers levels are divided into two: beginners and advanced levels. Competitors will get to fight everyone who is in their category. Prizes will be given for those who come 1st, 2nd and 3rd for all the weight classes and also for the best team. The sponsors will also avail special prizes for all category winners. For Beginners a white belt BJJ or less than 2 years experience in ground fighting. For Advanced at least blue belt BJJ or over 2 years experience in ground fighting. Our Grappling Tournament will use the rules of the IBJJF point system. Besides this, participants are allowed to use all chokes and locks but no slams are allowed. The referees who will be there know all the rules and they have had a couple of years experience being referees. The beginner category will have the -60kg category and the +60kg category only. The women advanced category will also only have the -60kg category and the +60 kg category. The event will take place on JULY 26th at Bushiri Karting Speedway. The address to the venue is #25 Location. The venue is on the dirt road that is behind the very famous Ling and Sons supermarket. Anybody from around there can show you the supermarket. 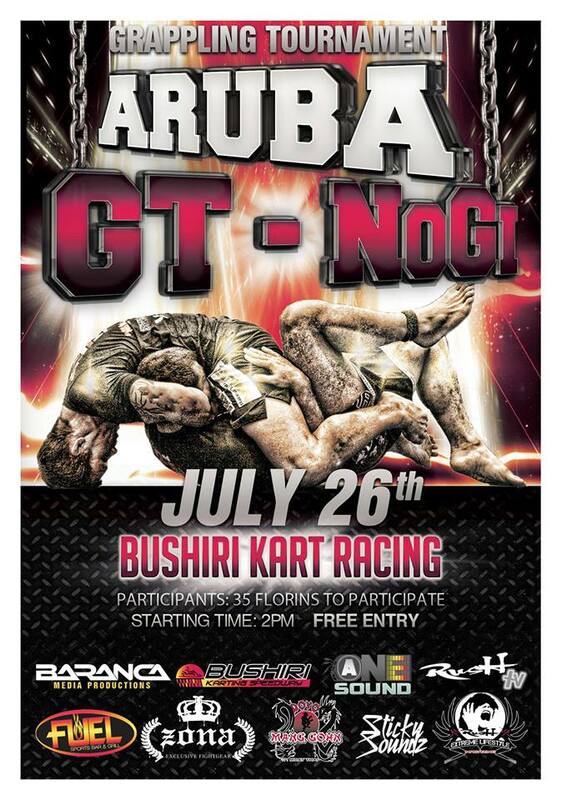 The Time Schedule for Aruba GT 2013 is as follows. It is important that you arrive 30 minutes before the start of your category. This time will be used for weigh in and check up so as to ensure that everyone is qualified to get in to the competition. The contestants will be the following. One of the first attempts to get Aruba recognize as something known as 'status aparte' was in 1947. Negotiations were opened up in 1954 with the introduction of the Charter of the Kingdom. This provided the framework that Aruba needed to become a state aparte, sure, they never got what they wanted in the edge due to various collapses in the negotiations, but this shows just how long the citizens of Aruba have been searching for independence from the Netherlands. In 1972, Aruba was brought up before a conference in Suriname by a politician from the island. The plan was to get a referendum put into place which would allow the inhabitants of Aruba to determine whether they wanted to be independent or not. The reason that this was put forward was because it was believed the inhabitants of Aruba should not be treated as 'second class nationality'. In March 1977, a Referendum for Self Determination was brought up before the United Nations, with 82% of the people that took part in the referendum stating that they wanted independence. This lead to a number of studies on Aruba in preparation for independence. These studies went on until 1983 when Aruba was able to come to an agreement for independence, with the island being given increased amounts of independence over time. 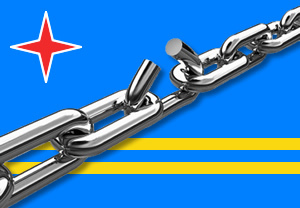 On the 1st January 1986, the island of Aruba was officially declared a country of the Kingdom of Netherlands over time. It was anticipated that full independence was to come about in 1996, but this never came to fruition with the schedule of independence withdrawn in 1995. It is unknown when or even if this will come into force, although don't anticipate this being in the near future. As you can see, Aruba has a rather rich history, and this isn't even half of it. Next time you are holidaying in this beautiful location, think back to the slaves that inhabited this area, the battles that took place and the key part that it played in World War 2. This is something which is a real eye opener. Of course, you are going to be attracted to the area due to the beautiful beaches and gorgeous heat, but you would do well to remember the roots of the island! The big break for Aruba came in the 1920's when oil was discovered on the nearby island of Caracao. As construction materials were needed to extract the precious oil from the land of Caracao, much of the supplies were sourced from Aruba. This included sands and stone. Around this time, a small company, the British Equatorial Oil Company headed to Aruba. They were looking for a base of operations. They wanted to build a good harbour here to transport oil found in Venezuela by the Lago Petroleum Company. In 1927, this harbour opened in Saint Nicholas Bay. At the same time, an oil refinery was also in production on the other half the island, which was of course bringing in a substantial amount of income to those that resided on Aruba. It is believed that the arrival of the Lago Petroleum Company to the island of Aruba was one of the best things to happen to the area. Almost immediately it went from a rather impoverished area to one that was raking in a lot of money. If you take a little look at photographs from around this time then you will notice the change. Many of the small villages here made of nothing but stone huts expanded into modern era buildings. 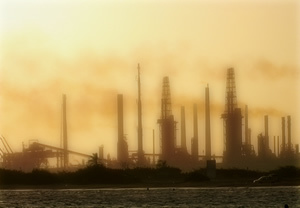 Particularly around the lake of of Maracaibo and the oil refinery here. Whilst World War One passed Aruba by, the island was thrust right into the action when World War II rolled about. This was because of the oil refinery. Back then, the oil refinery at Lago was producing the majority of the fuel to power the air force of the allies, which of course meant that the Germans wanted to take it out. As a result, plenty of rather epic sea battles took place just off the coast of Aruba with the Americans trying to defend the oil refinery (spoiler: they succeeded). Before the Germans decided to attack the Netherlands, they had carried out a number of recon missions throughout the area. They made the sensible decision (not really) of stationing a single German ship in the area when they attacked the Netherlands. The Malmok was quickly surrounded and the shop burned to a crisp. Shortly after this, the French arrived on the island with the intention of also helping to defend the oil refinery. The area around this time was heavily fortified, with anti-aircraft guns placed in Oranjestad with black outs around the area at night. As you can probably guess, being a small island nation, the island of Aruba had a very small army, in fact, it was purely made up of volunteers. English and Scottish troops assisted these volunteers, but it was quickly established that these weren't enough. Instead, military service was installed into the region in the 1940's. In 1941, these people were relieved and the Americans entered the area. The Americans made a number of changes to the area in the name of defence. This included installing a number of heavy bomber aircraft, making the air strip here longer, building parking locks and camouflaging different areas. In addition to this, areas were fenced off with barbed wire to protect the American installations. It certainly had an effect on the island inhabitants, but this was something that was sorely needed. For the most part, the Americans defended the island pretty well, but there were a couple of problems on February 16th. This is when the island and its ships were attached by the German Submarine U-156. A lot of people were killed this night, many of them civilians. Perhaps the main reason for that is because education wasn't high when it came to bombings, and many people actually attracted the submarine to their location with their lights. Now, the Lago Oil Refinery was almost destroyed this night, if not for a key mistake on the submarine which ended up killing the gunner (he forgot to unplug something which sent out a rather nasty explosion killing him and his assistant). This is a story which travels through the history of Aruba, and it probably is a mistake which saved the ally war, because without the oil from the refinery here, the battle surely would have been lost. After this point, the location was no longer lit up which meant that it could no longer be a target for the German Submarines, well, at least not as much of a target! Over the years, ever more frequent bombings and food shortage prompted many of the Arubians to leave the island, at least until the end of the war. As you know, the island of Aruba is part of the Kingdom of the Netherlands, although various efforts have been made for independence, although now it is widely believed that this is something that the island will never be able to achieve, not in the near future at least. Let's take a little look at this history in this regard. Up until 1922, Aruba didn't really have a politics system. Sure, there were governors and other important people, but very few people took politics seriously here. That was up until the installation of one Hendrik Abert Eman who was elected to be put in control of the area. 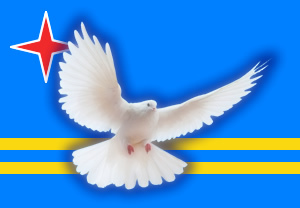 Many people consider this particular appointment the birth of modern politics within Aruba. One of the main reasons for the appointment for Eman was the fact that he used techniques for achieving election that had never been seen in Aruba before, although of course common place throughout the rest of the world. This included feeding hungry citizens, as you most likely remember, the 1920s was an incredibly bad time for Aruba when it came to food, and this certainly helped. In addition to that, he asked those of Arubia to ask him questions, and he was willing to answer them. In 1941, Henry was elected to the National Parliament of the Antilles. It was noted here that he always done things for Aruba, even when the matters being discussed did not actually concern Aruba in the slightest. He became well known as the leader of Aruba, something which he was known for until his death. In 1947, Henry Eman launched a petition to become separated from the island of Curacao. This was presented to the Netherlands. The wish of this was recognized by the Netherlands on March 18th, which showed that they were considering it. This is a date which is still celebrated as a national day in Aruba every single year. Now, I won't go into all of the politics around this, as it was somewhat confusing. However, over the years, Henry attempted to negotiate a lot to try and achieve separation, but to no avail, which is a great shame, as it is something that he fought for until his death. After that time, despite the reigns passing over to his son, the power of his party dwindled away, and it has never regained the same statute it had, although people were of course still fighting for separation, and they weren't prepared to give up yet. The last thing gathered here which I was to discuss is Aloe. This was a plant that has been grown in the area since at the least the 1800's. Aruba is one of the only areas of the world in which this plant is grown. The main reason behind that is the fact that both the climate and the soil are perfect for allowing this plant to thrive. In fact, the content of this plant is at 22%, whereas the average throughout the rest of the world was only 15%. Again, the Dutch proved the Spanish wrong as this goes to show that the area really could be used for agriculture. One of the pioneers of the Aloe production here was Jan Helenus Ferguson. You will find a road leading through the fields of Aloe actually named after him. 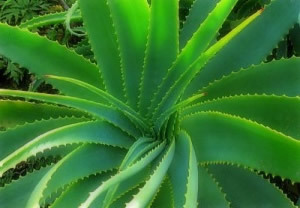 The aloe that was produced on the island of Aruba was sent all over the world, with the rich colonies of America being a prime target for trade. Back then though, Aloe was only known for its laxative effects. It wasn't actually until the 19th century, the late half in fact, when we discovered just how much power the extract had for the health. Nowadays, you will find aloe listed as an ingredient in anything from beauty products to sun tan lotions, and yes, a great deal of the Aloe that went into these products actually came from the island of Aruba! Now, let's jump back to the main history of Aruba, something which actually ties in with the production of these minerals, well the lack of production. With dwindling production of both Gold and Phosphate, Aruba didn't really have anything to sell to the world, and this was a task made even more difficult by the outbreak of World War One in Europe. As a result, those who inhabited Aruba needed to fall back on something. In this case, it was fishing and agriculture to make sure their needs were met. Sadly though, poverty was rampant, and death from starvation even more so.